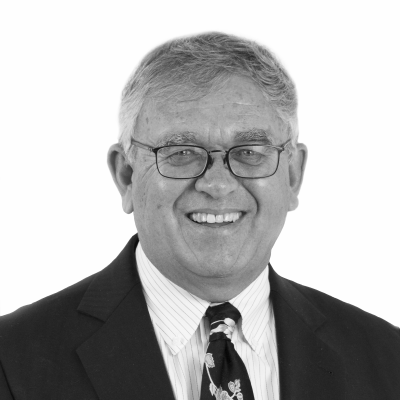 Geroge B. Sigurdson | Sigurdson Financial Group Inc.
George has a real passion for his business and clientele. Along with his passion and zest for life, he brings over 40 years of experience in the insurance and financial services industry. Shortly after graduating from the University of Manitoba in 1970 with his BA, George joined London Life and began his career in the life insurance industry. He has been a member of the Million Dollar Round Table since 1972, the World's most prestigious financial services educational institution. He is also an active member of the Canadian Advanced Life Underwriters and Advocis associations. With a personal life like no other, George travels the World and loves meeting new people from all places. He is an avid golfer, explorer, and hockey fan. He is also actively involved with the local community and charitable organizations in his home town of Winnipeg. With his unique approach to client service and building enjoyment into his practice, George has much to share with consumers and financial advisors. He has a rich history of North American and International speaking engagements for audiences of all sizes. His past appearances include speeches across Canada, in over 20 States in the USA, and in the United Kingdom. 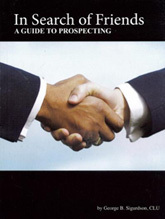 In this book I share the philosophy that I have found leads to sales success and, over the years, practically eliminates the need for active prospecting. Believe in and be committed to the life insurance profession. Keep your own financial house in order. Consider the clients needs first.